Discussion in 'Guitars in General' started by TCauble, Oct 19, 2008. They'reeee GREAT! anybody tried these things? They are fantastic! ANY love for these? Owned one for 14 years or so. Lotsa love over here. It's very well made, big-sounding instrument. So, where are the pics??? I am going on 9 years with my classic, only thing I did years ago was put in a set of Fralin blues. and definitely my go to axe. Good choice! -Here's mine - 2007 classic S. I love this instrument - it covers a good tonal range from 'T' type to 'S' type but with its own voice - as others have said, they have a tendency to sound bright - but the tone controls are responsive and I can even get a pretty decent jazzy tone out of it, the semi hollow construction helps, I guess - also keeps the weight down. The action is good - nice neck profile - my number one to go guitar. Congrats! The ASATs are very good guitars. Here's an ASAT Custom Classic I use to own. XKnight, I cannot believe you parted with that one, that was sweet lookin'! I've never been able to get into Tele's....but I did have an ASAT for a while, and I liked it a lot. 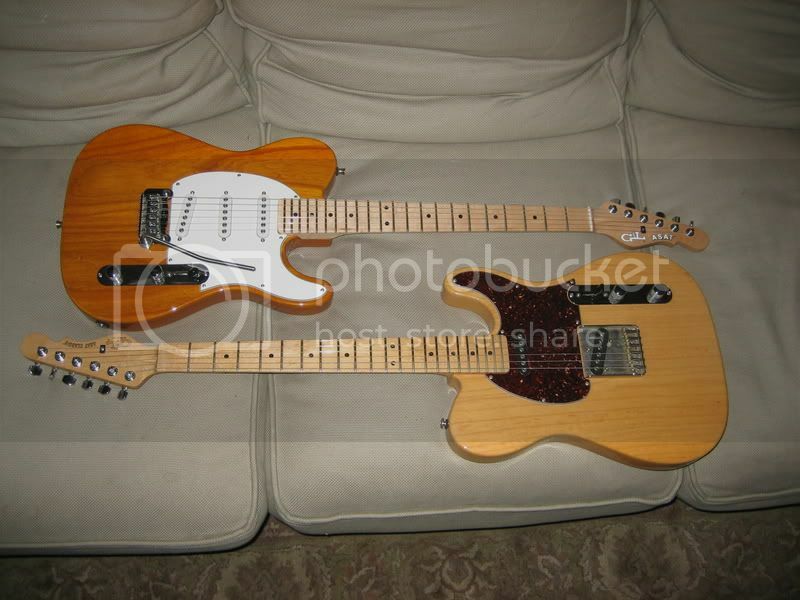 If I were in the market for another Tele, yeah, it'd be an ASAT. Thanks Boris. It played really well too and had the best factory fret dress of any guitar I've ever owned. 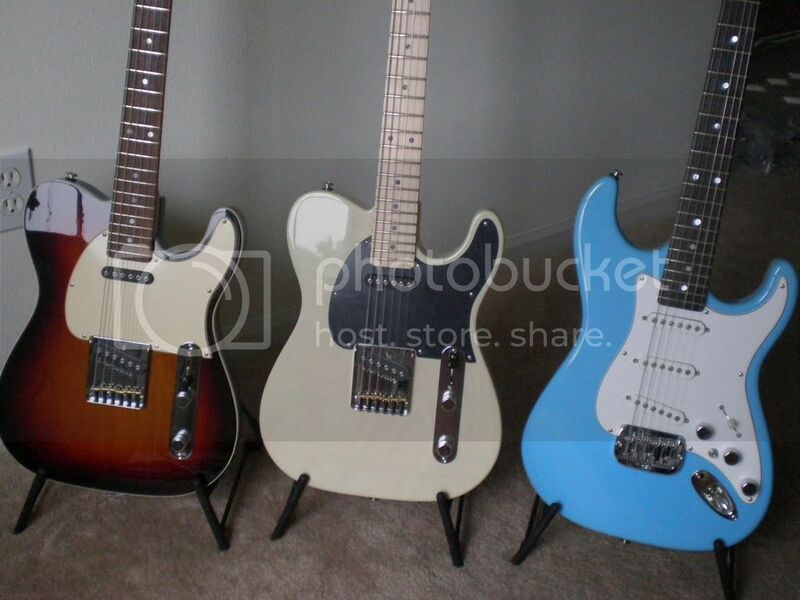 I just went in another direction for now and got more into the traditional Teles. I'd love to keep them all, but it's just not feasible for me. Best guitar (bolt on) for the $ I have an Asat Classic 3, and a Asat Super. Really a great guitar... got 4 of those, 2 classic rosewood, 1 classic maple and 1 asat special rosewood... really great quality construction on all of them. Ive got several and love them all. my fav is a classic s and one of the trinity models BB put out in 2006. Killer guitars. A great working guitar. It can do most anything you ask of it. << It can do most anything you ask of it. >> I noticed that - so much so that I haven't lusted after another guitar for the past two years. FOR ME, the ASAT Classic is where it's at. YMMV of course, but when I play it I am totally satisfied. Every once in a while, my bass player says, you need a Les Paul, and I say the ASAT gives me everything I need from a guitar. . . have you listened to it ?? For the record, I think HBs sound 'odd'. Don't know what it is, but I don't like playing HB equipped guitars. There is just something beautiful sounding in a single coil (including P90s - I do have a P90 Hamer I love. . . just not as much). I had one in Transparent orange, it took me a while to warm up to it, but once I did I had a lot of fun on it. I had to let it go when I moved to a smaller place. But it went to a friend who's been enjoying it. Transparent orange like mine. Mine is great. I've got Don Mare PUs in it and it just kills; a very vibrant guitar.